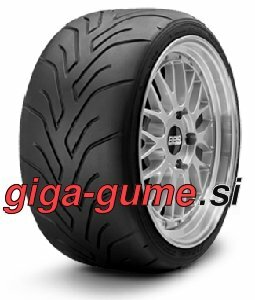 No matter what car you drive, giga-gume.si is eager to provide you with the right kinds of high-performance racing tyres. See what your vehicle can do thanks to these motorsport tyres, which will allow you to speed a whole lot more safely. Whether you are competing at the highest level or you are just an amateur race car driver, you will like what you see here. Pirelli is just one of many top brands that we have in store for you when purchasing UHP wheels and other kinds of racing tyres. Of course, all of the motorsports tyres that you can order here have received excellent safety ratings. You can count on the grip that these tyres provide in order to keep you safe. If you anticipate having to race in the rain, you should definitely have special rain motorsports tyres as backup, since your safety is at stake. These tyres are meant to be used at some incredibly high speeds. If you have always had a pronounced passion for racing, we are happy to cater to your needs. Select these tyres according to vehicle type and in accordance with the demands of the race track. Since you will most likely go through these tyres rather quickly, we can offer you some great deals.